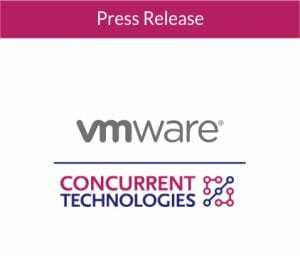 January 2019 – Concurrent Technologies, a leading supplier of boards and solutions for critical embedded applications, today announced it has joined the VMware Technology Alliance Partner (TAP) program as a standard level partner. Members of the TAP program collaborate with VMware to deliver innovative solutions for virtualization and cloud computing. The diversity and depth of the TAP ecosystem provides customers with the flexibility to choose a partner with the right expertise to satisfy their unique needs. Concurrent Technologies‘ product information, collateral and other assets are listed within the online VMware Solution Exchange. The VMware Solution Exchange is an online marketplace where VMware partners and developers can publish rich marketing content and downloadable software for our customers.